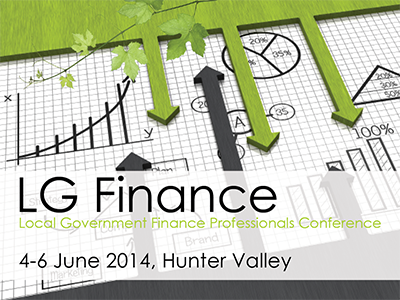 This conference will provide an opportunity for local government finance professionals from around Australia to increase their knowledge, skills and understanding of the issues confronting local government finance professionals today. It also provides a range of vital networking opportunities, one of the key outcomes of the conference. The theme for this year’s conference is “Analysing Your Currency”. The ever changing environment for local government in NSW, and indeed Australia, will continue to challenge you to analyse your currency. We will challenge you to consider the following questions throughout the conference - are we current? Is our local government authority current? What do we need to do to make us and our organisations current? Each session will update you to the current release and fill you with ideas that will help you to update your organisations.